Awesome in every way. Solid brushing performance with great results. Elegant and classy look. High-tech and creative solution with inductive charging. Also great as a gift. Philips Sonicare DiamondClean Black Edition Review – DiamondClean is the latest innovation from Philips Sonicare division: mixing technology, performance, and style to an electric toothbrush. Though some still choose to dwell in the debate between manual vs electric toothbrush, I have gone over to the other side years ago and never looked back. 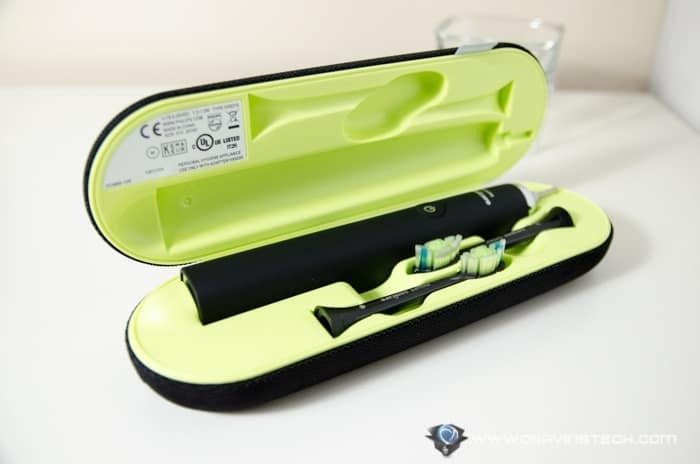 With a mix of electric toothbrushes that I used before (from Philips and even an Ultrasound toothbrush from another brand), I have grown fond of the power and results from an electric toothbrush. The DiamondClean brings them up a few notches, along with great looks that you probably would not care about a toothbrush before. Now, it comes with an even more modern and exotic look in black finish – the DiamondClean Black Edition. 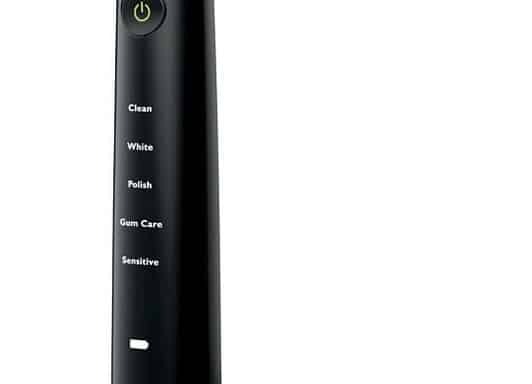 Like the Philips electric shaver I’m still using (check out my Philips SensoTouch 3D review), the DiamondClean Black Edition brings out a lot of “ooh” and “aah” from your mouth. James Bond himself would probably be using these 2 lifestyle gadgets if he’s real. The design is really clean and has a high-tech feel to it. Being a person who respects and endorses technology, touching the toothbrush for the first time was like holding a new smartphone: full of excitement and eagerness. Those feelings, thankfully, still last up til now (about 2 weeks of using and reviewing the toothbrush). The DiamondClean Black Edition just looks gorgeous in the bathroom (+matches with the SensoTouch 3D side-by-side) and feels great in hand too. 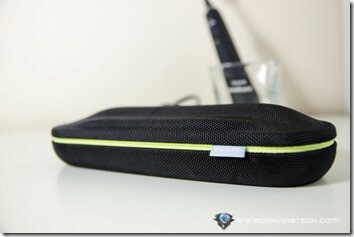 It has a good grip while you hold it to brush and is made with materials that don’t feel cheap to the touch. Even the brush head (replaceable, of course) screams of high quality and design. The brush head design is not just for the looks, however, but to contribute to a better performance (by having more bristles and shaped like a diamond for greater surface area coverage). 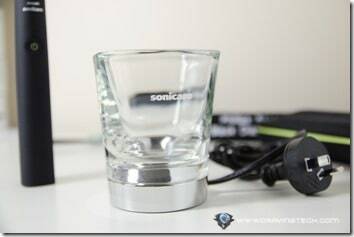 If you notice from my shots, the packaging comes with a glass and travel case. Upon closer look, however, these are no mere glass and case. They are in fact, powered by inductive charging technology. 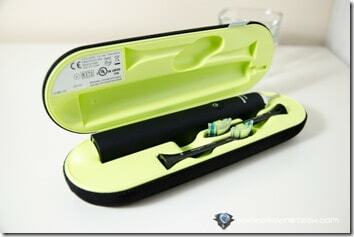 Both the glass and travel case can be plugged to power to charge the electric toothbrush. There are no ports and connectors. 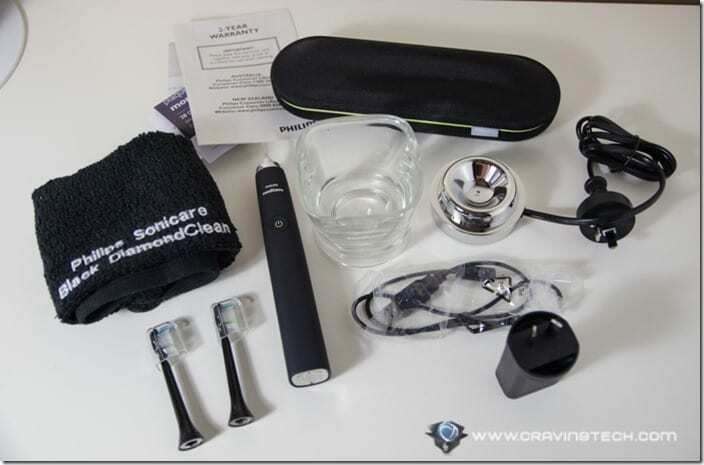 Simply place the DiamondClean inside the glass or case, and the battery will start charging. It gives a luxurious feel and satisfaction for owning the toothbrush at home. With a battery that will last around 3 weeks (according to Philips), so you may not even need to charge it while you travel. Note that you can charge the brush through the case via a USB slot (on your laptop, PC, or even a portable charger). Both glass and case are also of high quality, as you can see from the shots. So it is all fine and dandy, but what good is a toothbrush if you only spend your dough for the looks? Thankfully, you’ll also get performance for cleaner, better teeth along with increasing your bathroom aesthetics. 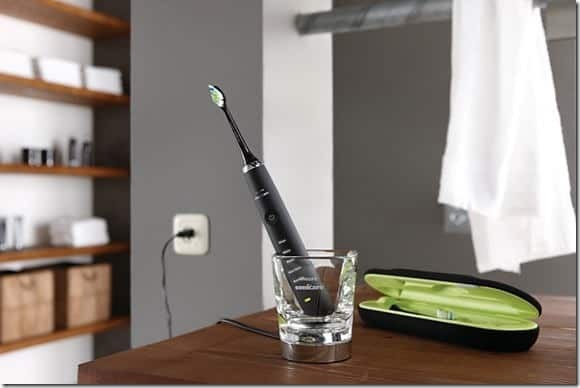 From the official statement at Philips, the Sonicare DiamondClean Black Edition is “clinically proven to whiten teeth, remove plaque from hard-to-reach places, and to improve gum health”. I’ll talk a bit more about the experience below. I haven’t really extensively tested the other modes but I find that the Clean mode is a good all around mode to use. On the standard mode (Clean), the brush head spins really fast. In fact, it is much faster than my old electric toothbrush. 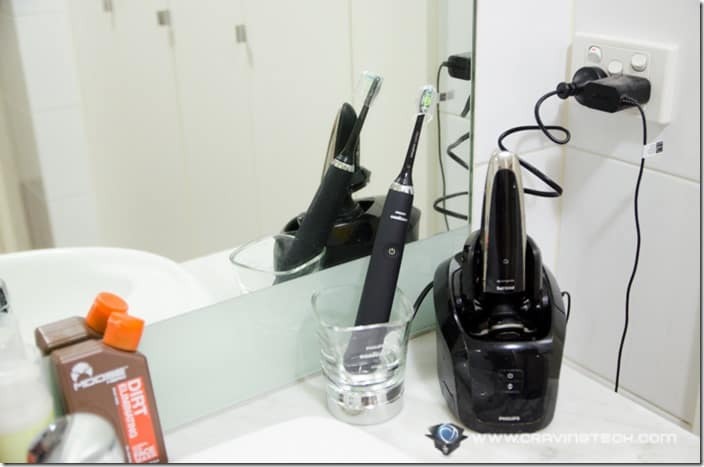 It may take some time to adjust to this high speed vibration if you are not used to an electric toothbrush before. I like the feel of the brush polishing my teeth in what feels like a supersonic speed. You’ll never be able to match the number of brush strokes the DiamondClean makes (about 31,000 brush strokes a minute) by using a non-electric toothbrush unless if you spend minutes, if not hours, longer in the bathroom! As long as you turn the brush on while the brush head is inside your mouth, you’ll be fine. If not, you may find a few mess as some of the toothpaste applied on the brush head would be flown around. This can happen too if you switch the brushing mode while the brush is out of your mouth. 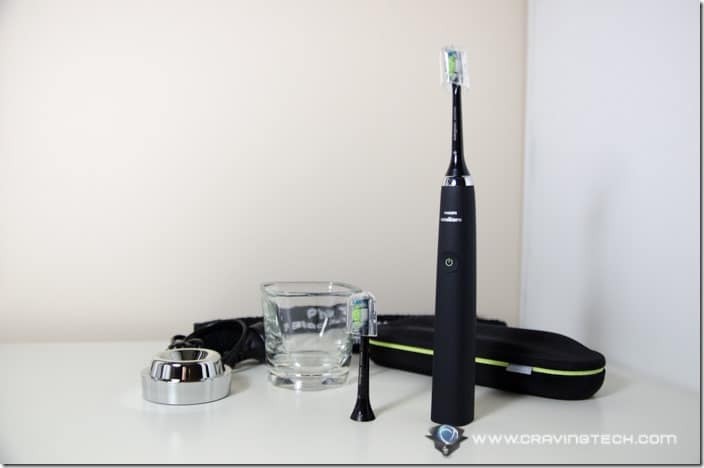 While brushing, I notice that the DiamondClean drives more fluid (as advertised) which makes the brushing more enjoyable and feels like the toothpaste are being distributed evenly on my teeth. In Clean mode, four 30-second-interval signals remind you to move between the 4 teeth quadrants (with a total of 2 minutes brushing time, which is recommended by dentists). After the 2 minutes period, however, the brush will auto turn itself off. 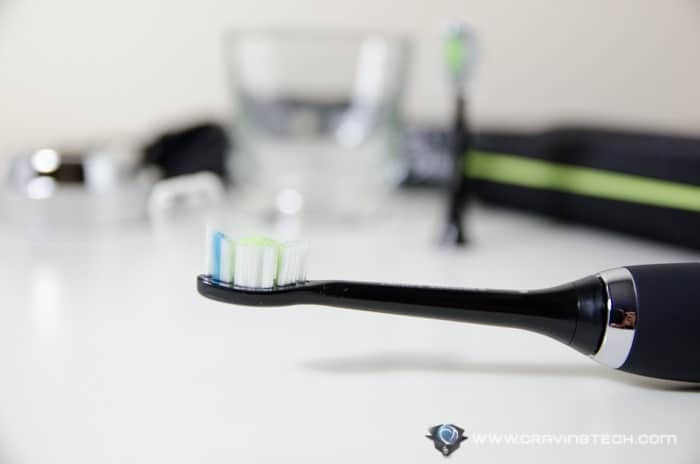 If you are not satisfied enough with your brushing session, you can simply press the power button again to go for another 2 minutes (or until you switch it off manually). These combinations allow the brush to remove plaque and clean your teeth more effectively, while giving a quick, fun experience in brushing. I honestly want to brush my teeth more often now, thanks to the DiamondClean. I know that sounds exaggerating, but that’s the truth. It’s that same feel when you just want to turn your phone on, stare at it aimlessly, and turn it off again. You are enticed by it and you can’t explain why. I feel that my teeth are cleaner and I can even see empty gaps between my front teeth (which are normally filled with food residues or plaque). The mouth freshness also feels different; more even, and as if I have fully utilised the toothpaste in my whole mouth. 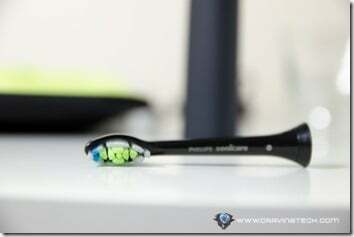 Like SensoTouch 3D, the DiamondClean makes toothbrushing fun while doing its magic at the same time. 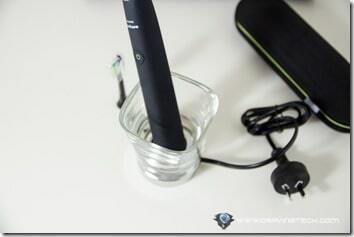 It feels good to see the toothbrush resting inside the cool inductive charging glass. It feels good to brush the teeth with it. And most importantly, the results are amazing too. 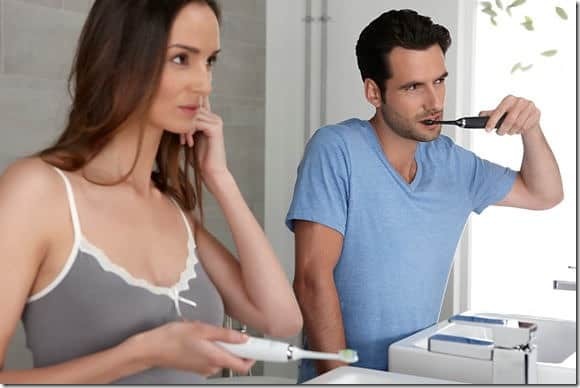 And if you don’t trust what I say, there are lots of Amazon’s happy customers giving this toothbrush a 5-star. I would give this toothbrush a 5.5 stars if I can. Totally recommended if you care about your teeth. Next articleDear OneDrive users, more data for yow!